Mind maps are an effective tool in many fields. They can also be highly effective for salesmen and marketers. Mind maps can benefit marketers from many perspectives. Marketers can take advantage of mind maps to improve work in many ways. Here are some examples. Without acknowledgement of the market, there is no way marketers can do a good job. 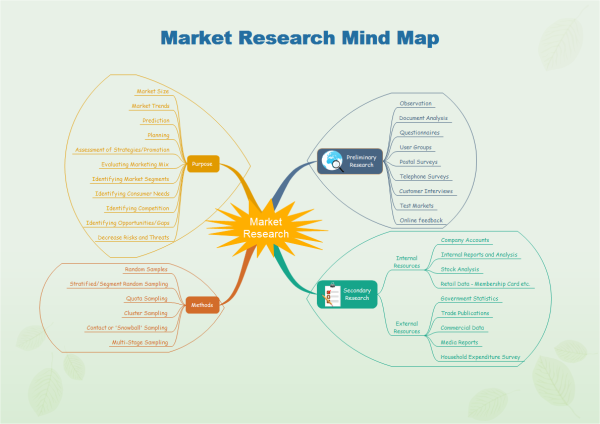 To display the power of mind map in this respect, an example about how to do market research is given. For those readers who prefer linear format information, they can use "Export Data" on "Mind Map" menu to output contents in Word format. The following table shows the text of the mind map. 2.1.4 Retail Data - Membership Card etc. Marketing requires managers to see the big picture as well as being able to focus on the details. Mind maps are perfect for such purposes. All things need to be done or analyzed can be represented in just one mind map. Better business demands smarter brains and strategies. With practical techniques, one can halve time and effort but double achievements. You can search useful strategies and link them together in a mind map. Furthermore, you can add descriptions about how to implement these strategies in the sub shape of mind map. 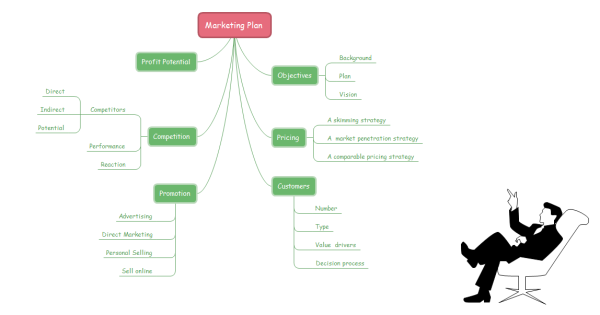 Mind maps can be used to direct marketing meetings to ensure that all of the marketing goals of a meeting are achieved. Mind maps are beneficial because they can engage various participants to jump between various topics. When participants are expressing their ideas, the meeting host can take notes directly in the mind map by adding notes. By turning the one-way output method into such an interactive way, a meeting can be more successful. 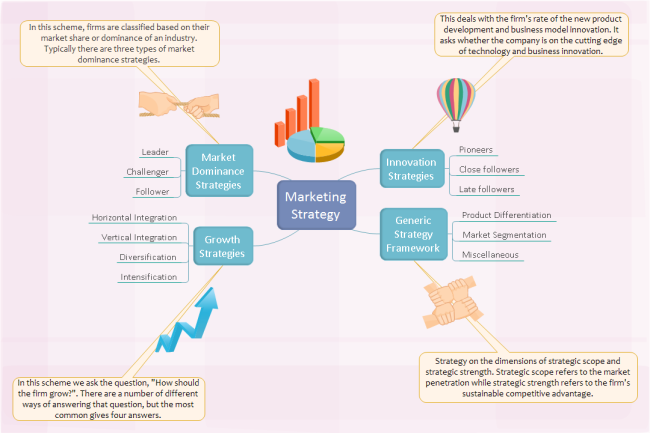 The above mind map can be applied to make a stunning presentation about marketing. Sales results are the substantial evidence of marketing achievement. After presenting your overall summary of the sales situation, Edraw offers you more power by linking the map to hard evidence. 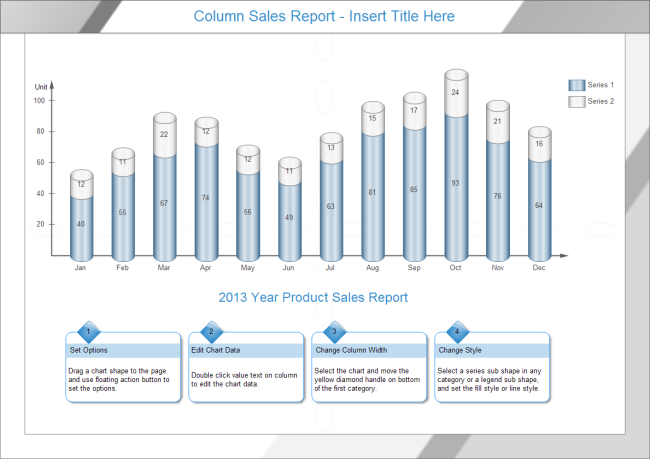 That is to say, you can add hyperlinks to other files or websites to show detailed sales statistics, such as a sales report column chart.